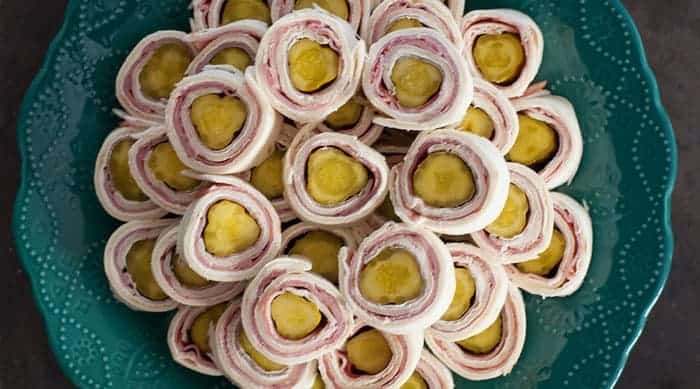 Our Classic Pickle, Ham & Cheese Rollups were featured on Real Housemom’s 25 Roll Ups for Game Day Round up. So many great recipes in one place, even dessert options! Check out the post here 25 Roll Ups for Game Day. Great for game day or baby showers, bridal showers, birthdays and other special occasions. Check out our original Classic Pickle, Ham & Cheese Rollups post.